Father’s Day is just around the bend, and many of you first-time moms will be picking out gifts for your partners who just became first-time dads! 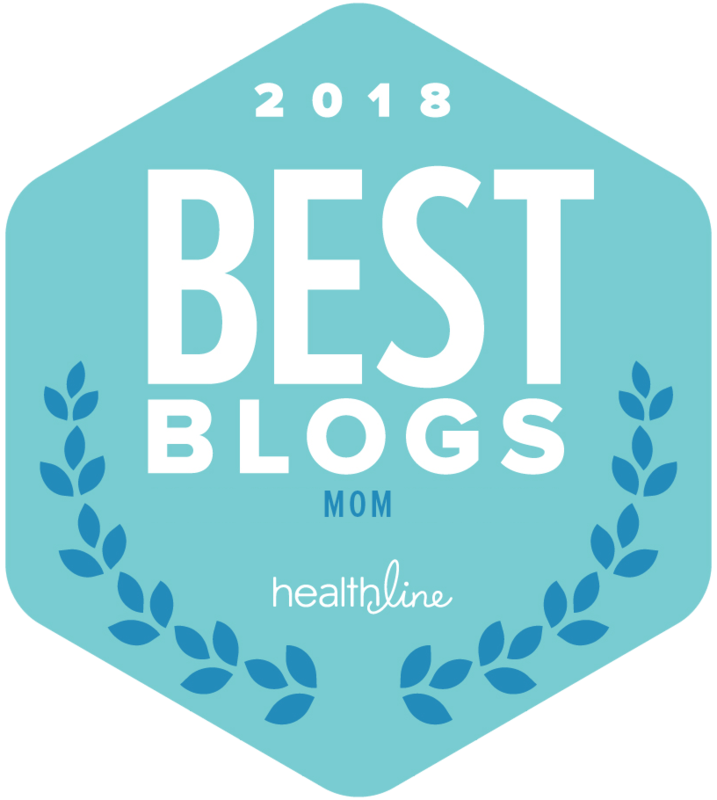 Picking out the perfect Father’s Day gift for my husband always seems to be a daunting task — how do I find a gift that conveys the dedication and love that he puts into our family that also fits his personality perfectly? Tools never seems to be the right answer, and he is definitely not a tie man. I’m sure many ladies have found themselves in the same situation as I usually find myself in — wanting to find that perfect “We appreciate you!” Father’s Day gift without being completely predictable. Last month I featured Mother’s Day gifts from Etsy, and included many sweet and thoughtful items to share in my post. 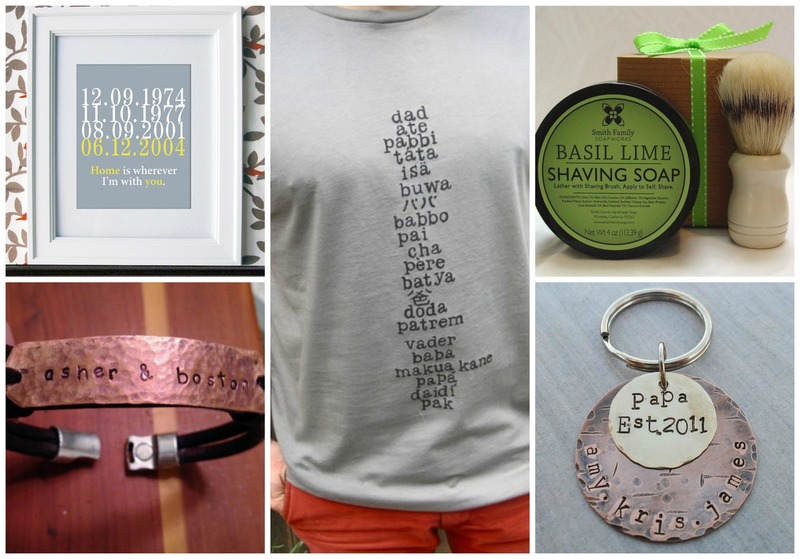 A brief search on Etsy for Father’s Day gifts will unearth many little treasures to be found, and since I spend a good amount of time browsing through page after page of Etsy items, I was able to come up with several amazing Father’s Day gifts that are especially suited towards first-time dads. The first Mother’s Day and Father’s Day for a mom and dad should be memorable, and there is no better way to commemorate it than to find a special gift for your significant other that they will be able to cherish for a long time to come. If you’re stumped on what to get your partner for his first Father’s Day, take a look at these lovely ideas to get you going! 1. Handmade Basil Lime Shave Set – $13.00 – Love this gift set for a dad who likes to stay well groomed! The olive oil based soap is scented with basil and lime essential oils, making for a moisturizing and amazing-scented shave that your partner will love. 2. Set of 3 Father’s Day Coffee – $10.00 – This personalized set of three packages of coffee is a perfect way for first-time dads to wake up in the morning. We all know how much parents need that extra boost of energy in the morning when they’ve been up all night with a newborn! 3. Father’s Day Print – $38.00 – This personalized print is great for dad’s office or any place he likes to display special pictures and family keepsakes. The print can be personalized with the birth dates of your children, and I love the “Home is wherever I’m with you” quote at the bottom for a thoughtful touch. 4. Father’s Day T-Shirt – $25.00 – Is your significant other a t-shirt man? Instead of getting him a run-of-the-mill “World’s Best Dad” shirt, gift him with this great shirt that has 20 variations of the word “dad” on it! Little ones can have fun trying out different ways to call their dad “dad,” and dad can show his pride at the same time. 5. 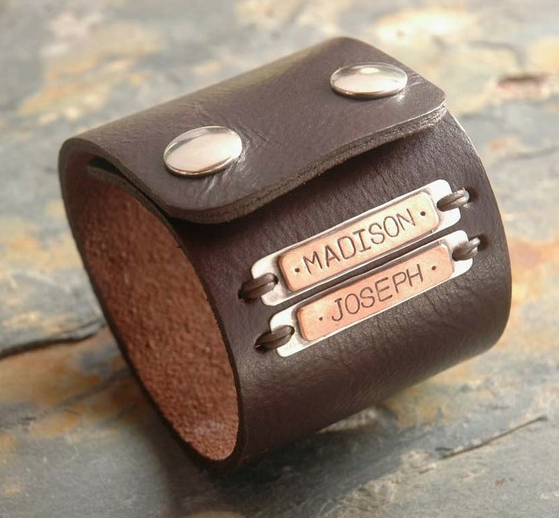 Father’s Day Leather and Copper Bracelet – $65.00 – Let dad show his love for his kids on his wrist with a cool leather and copper bracelet that can be personalized with your children’s names. You could also do birth dates, nicknames, whatever else fits for the special dad in your family’s life. 6. Personalized Dad Keychain – $18.00 – Here is another great personalized gift for dad on Father’s Day. This keychain is hand-stamped with whatever you choose to put on it — children’s names, birth dates, etc. If your partner isn’t much of a jewelry guy t-shirt guy, he can still show his pride for his family with this custom brass and copper keychain. 7. Personalized Dad Leather Wallet – $65.00 – Why is it that men are so hard on their wallets? It seems like my husband’s wallet is always falling apart. This is the perfect gift for a new dad who needs a wallet update. Stamped with the date he officially became a dad, this wallet will be a constant reminder of those special little ones he has at home. 8. White Oak Wood iPhone Dock – $40.00 – Is your partner gadget-obsessed? This iPhone dock is perfect for the outdoorsy dad. The dock is carved out of white oak harvested in California, and makes for a sleek alternative to iPhone docks you may find at your local electronics department. What is your idea of the perfect first Father’s Day gift? How many names can you put on the keychain and what is the waiting time?